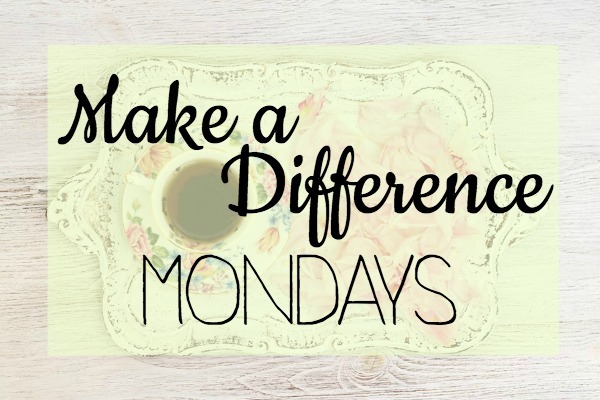 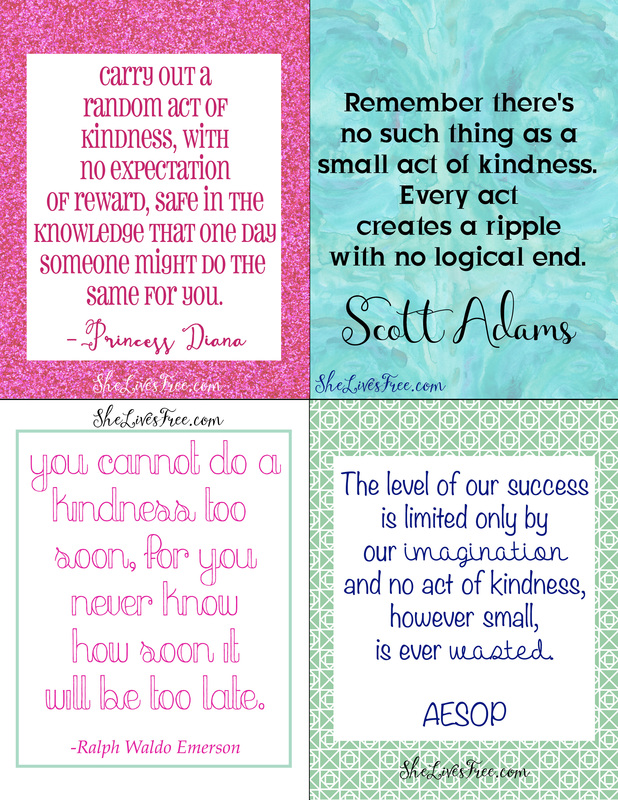 I am a firm believer that small intentional acts of kindness can change the world and I love the opportunity to provide little reminders that it’s up to us to be the change we wish to see! 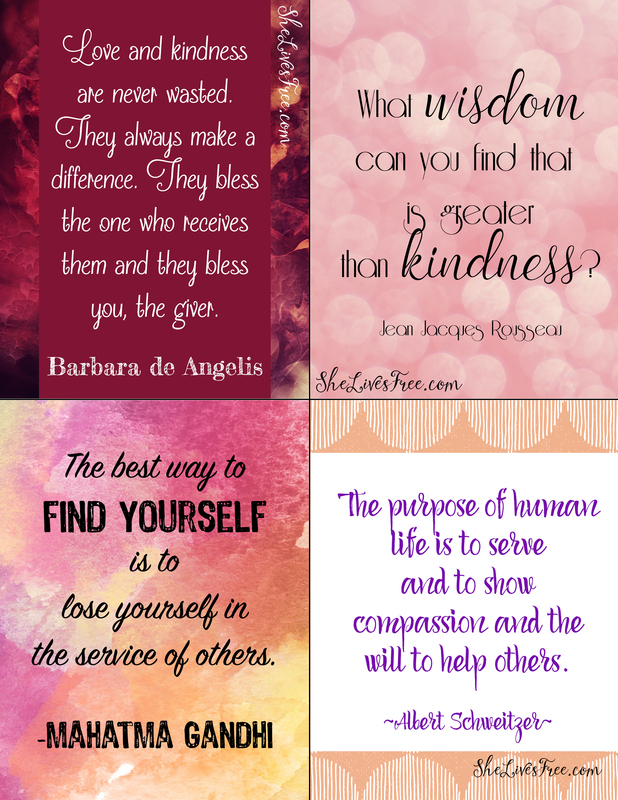 Here are December’s lunch notes created for She Lives Free subscribers! 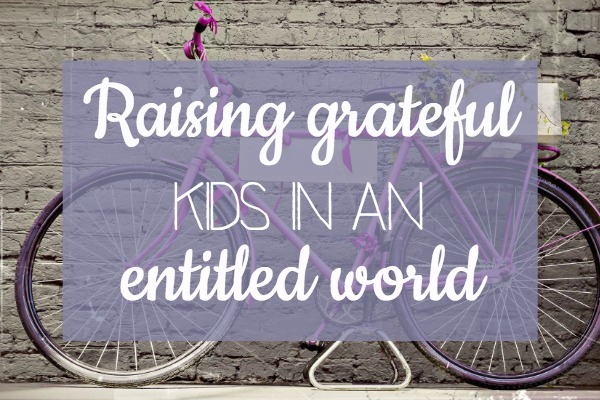 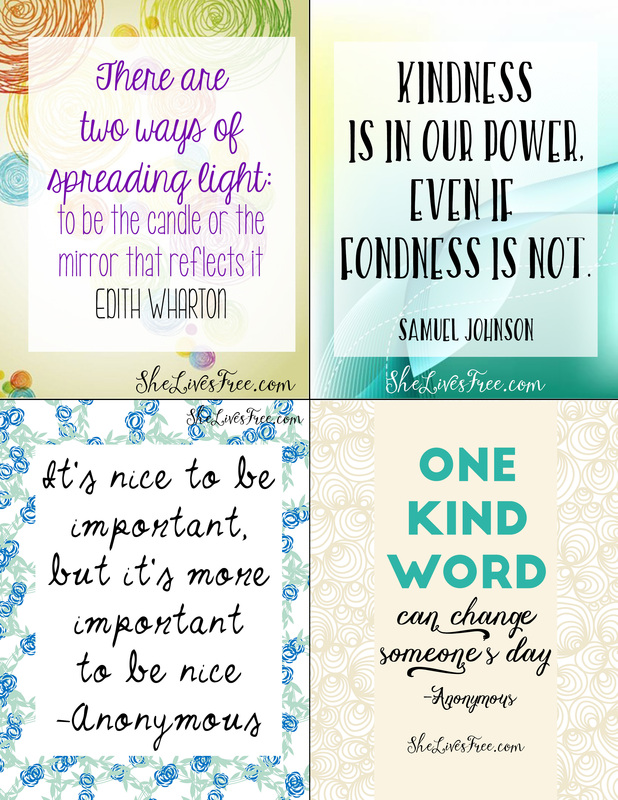 Enjoy sharing these with your children, your husband, or even a friend in need of uplifting. 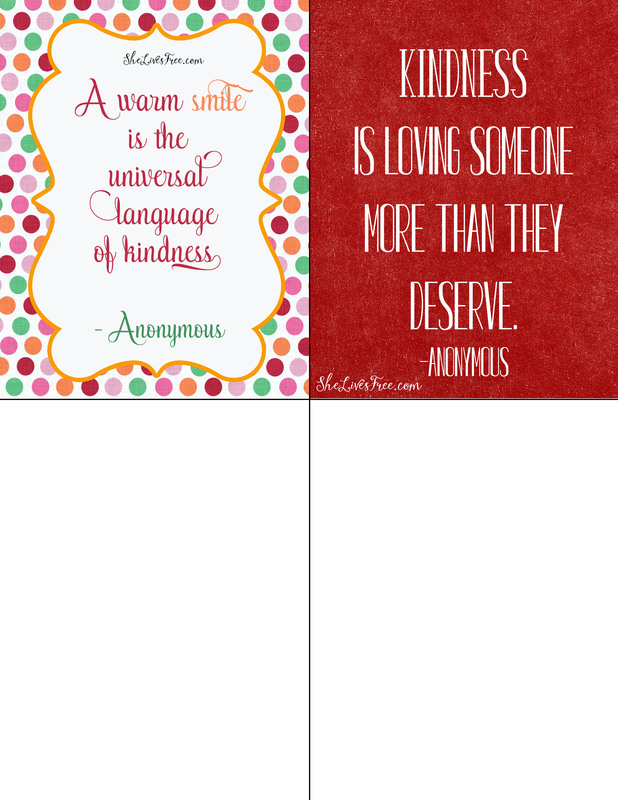 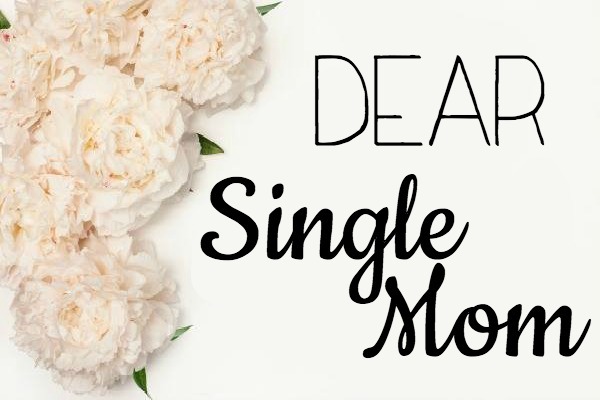 Grab your printables below and use them as little love notes with inspiring reminders for your kids & hubby or maybe even include them in a card, post them on your fridge, your bulletin board, or anywhere that could make someone smile! 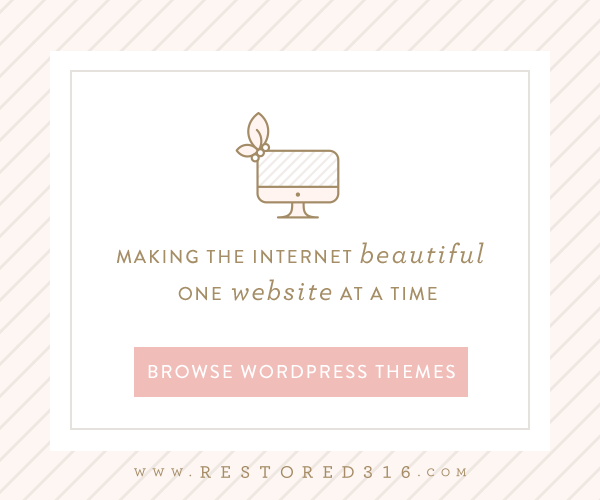 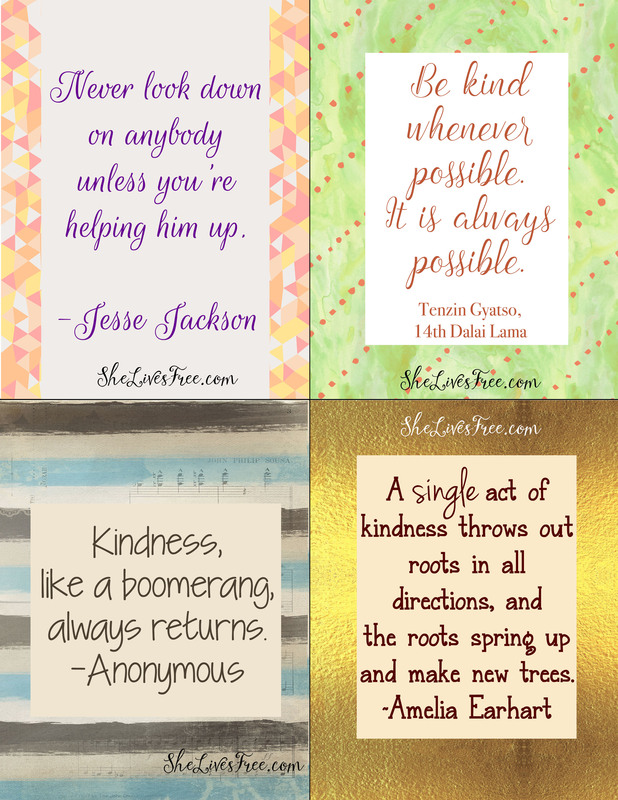 Just join our mailing list to gain access to these great printables – you can subscribe below and look for a new freebie package in your email at the start of every new month! 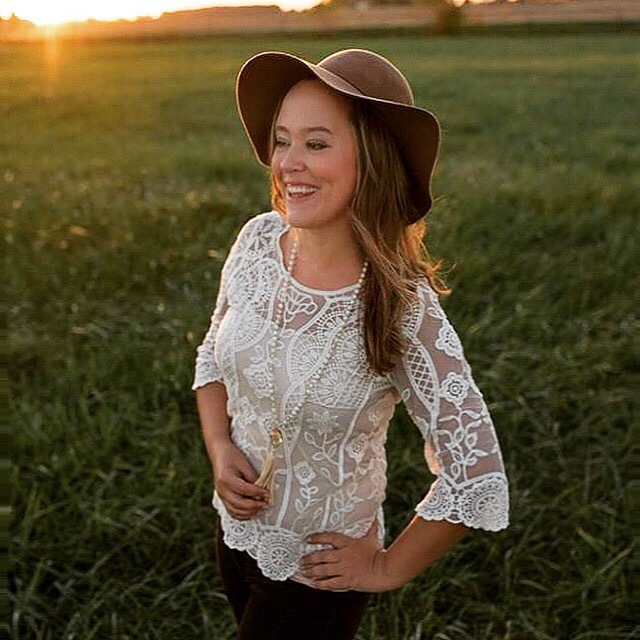 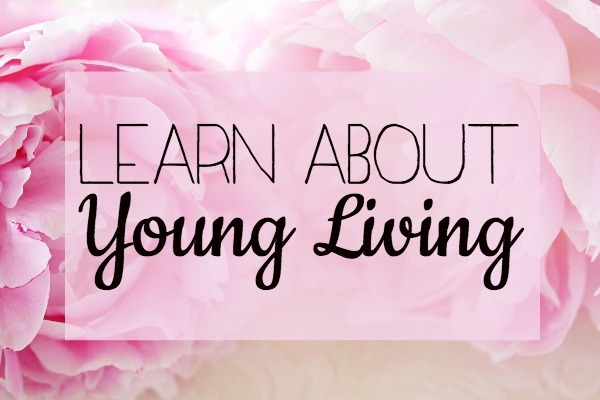 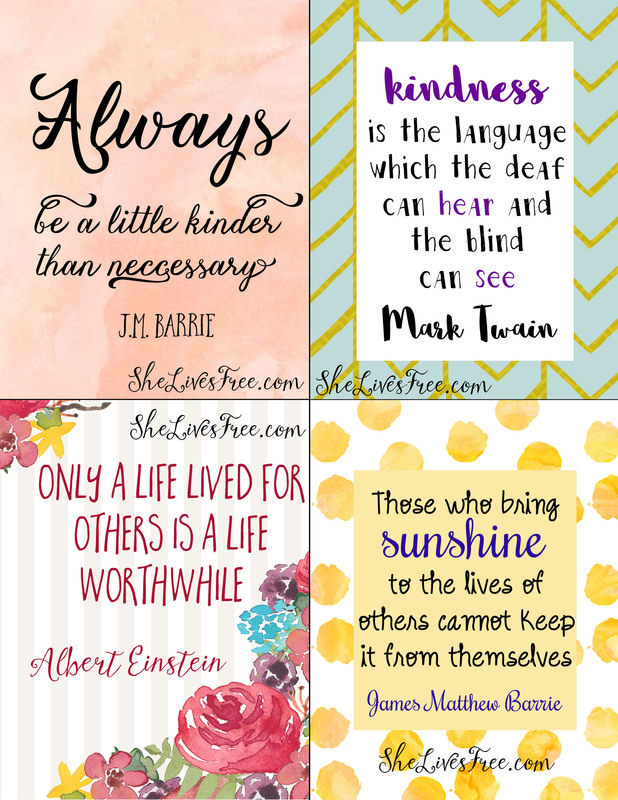 To see the November printables sent to She Lives Free subscribers, click here! 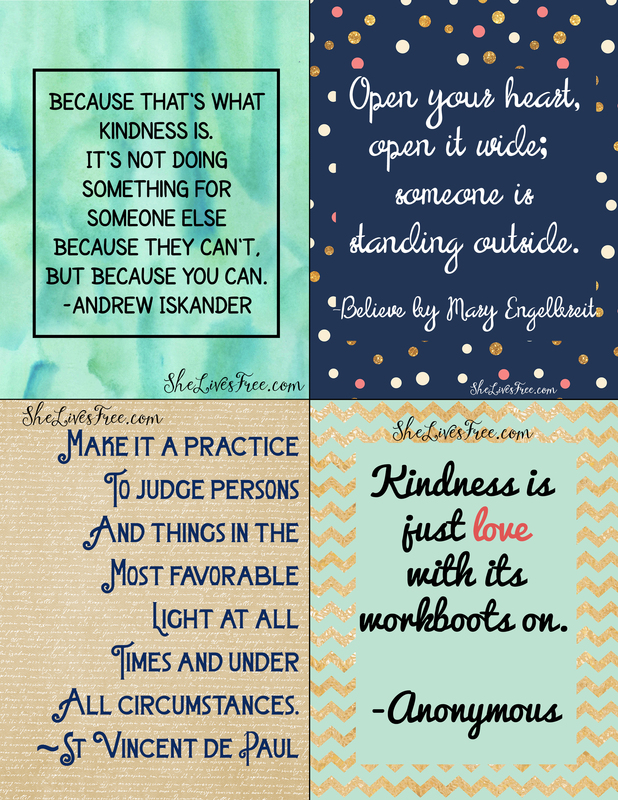 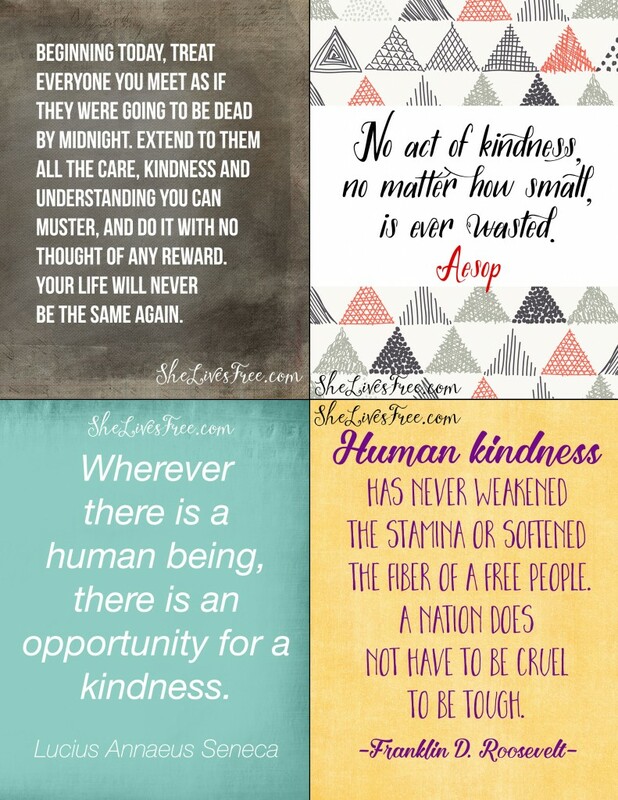 Which one of these kindness quotes are your favorite? 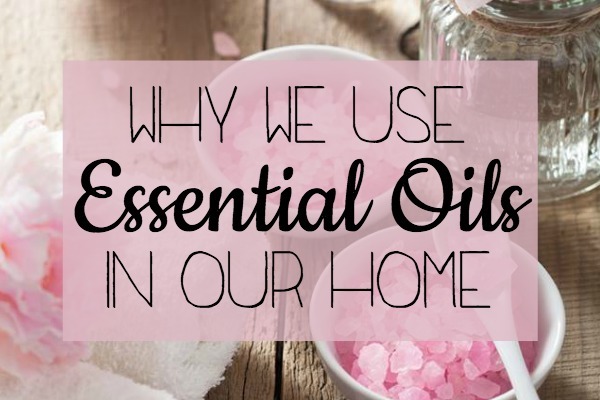 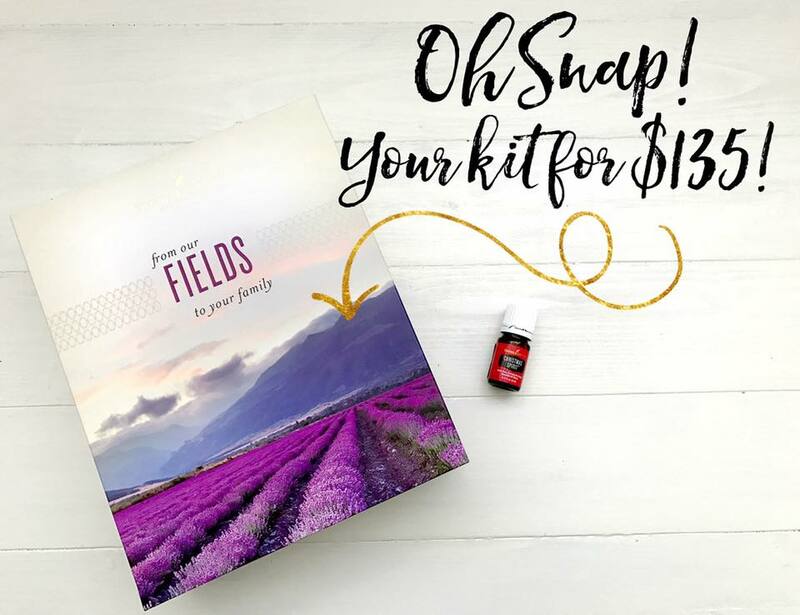 Can’t wait to hear how you plan to use them!